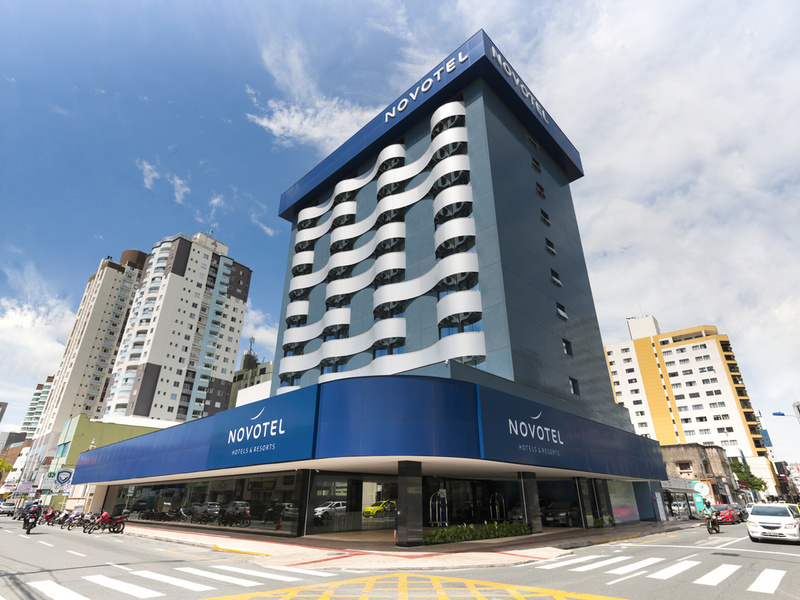 The Novotel Itajaí hotel boasts a privileged location in the city center, near the port area and only 2.5 miles (4 km) from Navegantes International Airport. The hotel features modern, functional rooms suited to guests' needs whether traveling for busines s or leisure, and also boasts a modern and welcoming infrastructure with events facilities, a leisure area with a swimming pool, hot tub, sauna and fitness center and a car park. It is located just 15 minutes from the famous city of Balneário Camboriú. Spacious, contemporary in design and adaptable, the Novotel room is truly a place for relaxing, perfect for all your needs. At Gourmet Bar, guests can enjoy an inviting and sophisticated atmosphere with unique dishes and a varied drinks menu.